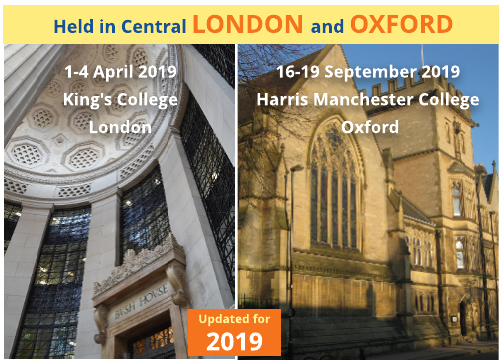 Our signature spectrum management training course, held at Oxford University from 16-19 September 2019 and in London in April 2020. Spectrum management requires knowledge of an unusually wide range of disciplines: engineering, economics, law, policy and regulation. It is also a field where accepted practices are changing rapidly. The increasing demand for spectrum fostered a growth in market- orientated approaches to spectrum management but the latest approaches lean more towards sharing as the dominant paradigm. This spectrum management training course delivers the essential technical foundations needed to support modern approaches while bringing attendees up to speed with the latest thinking in a range of other areas. The course is aimed at people who either work for regulators or a commercial organisation which needs to understand the principles of spectrum management. The programme is particularly relevant for the following fields: mobile; broadcasting; wireless broadband; electronics manufacturers; and public sector spectrum users such as aviation, maritime, emergency services and military. The standard price for the London course is £2245 + VAT and includes lunch but not accommodation. The Oxford course includes bed and board in the historic surroundings of Harris Manchester College and costs £2645 + VAT. There is an early bird discount of £250 for delegates booking six weeks in advance. Also employees of non-UK governments do not have to pay VAT. Full details are on the booking form on the back page of the course brochure. You can register online for 2019 courses or book your place by calling us on +44 (0)20 7100 2875. Class size is limited to a maximum of 20. The course is being run by LS telcom and PT Publishing. PT Publishing produces PolicyTracker, the journal of spectrum management as well as the Spectrum Research Service, business reports and bespoke research. LS telcom is a worldwide market leader in the provision of strategic and technical consulting; training on technologies, regulation and policy; automated spectrum management and monitoring systems; and planning and optimisation software.